Is your face itchy and irritant? Does it feel raw and burn after the slightest touch? 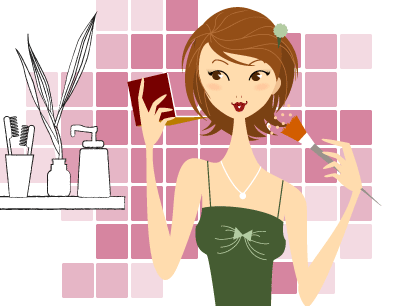 Does make-up leave a rash and an irritant feeling on your skin? No doubt, your skin will fall under the reactive skin type, a problem which can affect all types of skin, whether dry, mixed or oily. But, rest assured! There are specific products and steps you can take for this skin type, which can often react in an excessive (but temporary) way and often don’t react well to cosmetic products. We’ve got a few recommendations here to personalise your beauty routine for reactive skin! 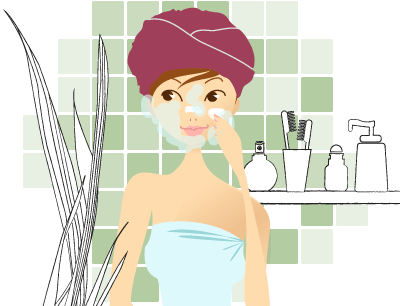 Start your routine by gently cleansing your face with a ‘no-rinse’ skin care treatment of your choice. This is crucial, because even water (particularly hard water) can make your skin react. Also, don’t use soaps which dry out your skin. In the morning, go for a gentle lotion to awaken and refresh your face. 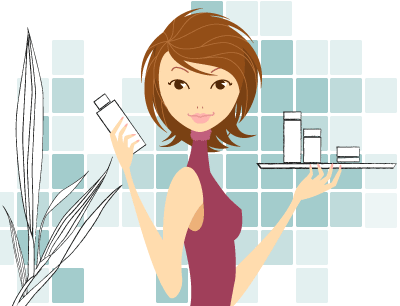 In the evening, choose either a micellar water or lotion to take off your make-up and lift all the pollution, dust and dirt accumulated throughout the day off your skin. Complete your routine by spraying a soothing and refreshing thermal water over your face. Delicately dry your skin by dabbing it with a paper towel. Micellar milk to cleanse your skin and remove make-up for the face, eyes and lips. Cleansing lotion to gently cleanse and purify skin. High tolerance for reactive skins. lotion micellar Avne to clean and cleansing sensitive skin. This micellar lotion by Aderma is the first micellar lotion to cleanse and remove make-up and soothe your skin without having to rinse, specifically made for reactive and intolerant skin types. Its formula contains extracts of rhealba oats seedlings, which calm skin and reduce skin reactivity with long-lasting effect thanks to its natural protective layer. Make your cleansing routine a real moment of comfort! As a general rule, stick to a minimum of products and always go for neutral skin care products, preferably hypoallergenic, fragrance free with no added preservatives. After cleansing your face, make sure to rehydrate your skin. To set you in the right direction, find a moisturising cream specifically adapted to reactive skin. Also consider using an eye contour gel to really hydrate and soothe the eye contour and eyelids, which are fragile and sensitive areas of the face. Finally, complete your beauty routine with a hydrating mask for sensitive skin (apply only once a week), to provide in-depth hydration and relieve the tight, tearing feeling on your skin with intensely soothing active ingredients. soothing care for the reactive, intolerant skin cosmetics classic, fine, blotchy. Soothing and protective cream for dry, sensitive and irritable skin. intense for the face and eyes soothing fluid to permanently relieve ultra-sensitive skin. Dry or very dry, hyperresponsive and intolerant. face and neck. For skin care products, you should limit the amount you use (the less you aggravate your skin, the healthier it will feel) and look more towards make-up ranges specially designed for reactive skin. Choose a non-greasy, hypoallergenic and non-comedogenic foundation. For even better tolerance, take a look at lotions or creams to provide some hydration to your skin, rather than powders which tend to dry it out. For full coverage texture and easy application, mix your foundation with your moisturiser. Best results are guaranteed! Hides severe imperfections in one simple application. Specially designed short-haired brush with synthetic fibers to minimise allergy risk. Hypoallergenic. • As a general rule, avoid mechanic actions and intense rubbing on your skin (cotton pads, brushes, sponges, clothes etc.). • More specifically, after cleansing your skin, wipe your face by dabbing it with a towel or a tissue rather than rubbing it, to avoid irritations and preserve the protective layer of your skin. • Get rid of preservatives, fragrances, soaps, exfoliators, essential oils and products containing alcohol and certain detergents. • Make sure you’re aware of the variation in temperature and how much alcohol, spices, and coffee you consume. • Don’t try experimenting with skin care product samples or using make-up products that aren’t adapted to reactive skin.